I am weird...I adore a great pocket chart! I love bright colors, various sizes, interesting shapes, and different pocket dimensions. When I started teaching 19 years ago there was 1 type of pocket chart--blue and large. Now I have one that is apple shaped, some that are simply 1 pocket, a long one that can hold books, and I even have some I made myself out of file folders folded in half. Every student in my class has a job. We are a community and every student is expected to participate. 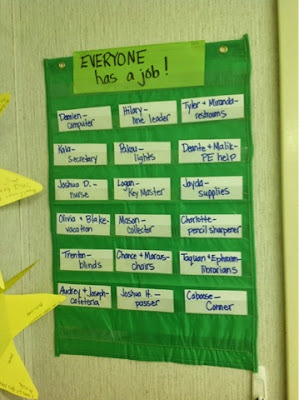 Students chose their jobs and this charts reminds them what roles they have. It is also useful when a substitute is in the room. If students want to switch jobs, I can easily change the cards. 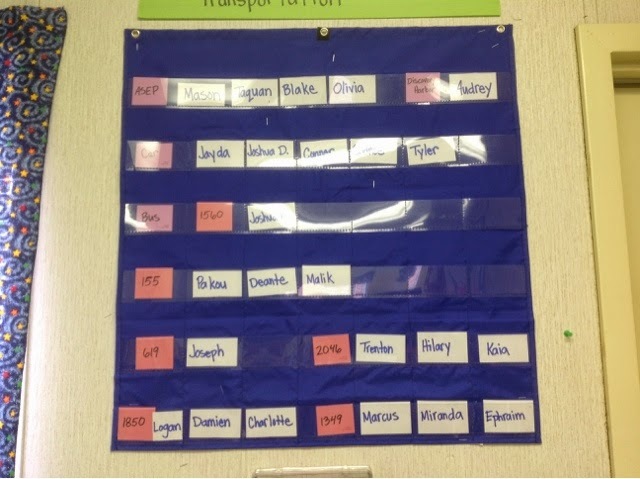 This pocket chart has little individual compartments so it is perfect to post how students go home each day. This one is displayed by the exit. I use this chart every single day! 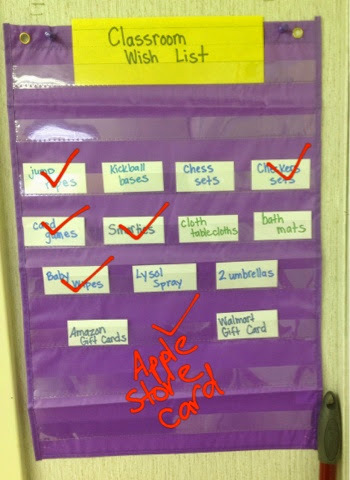 This is my Wish List of items that could help enhance our classroom activities and atmosphere. Guests to my room can take a card and then return with the item. I have checked off the items that people (including my own mom) have donated. Thank you so much to everyone who has made a donation already! This display reminds students of their Writing Partners. It keeps me organized, lets administrators see how my students are paired, and allows guest teachers to have a way of knowing which students can work together well. In a week or so (after we determine reading levels) I will fill in the Reading Partnerships pocket charts. 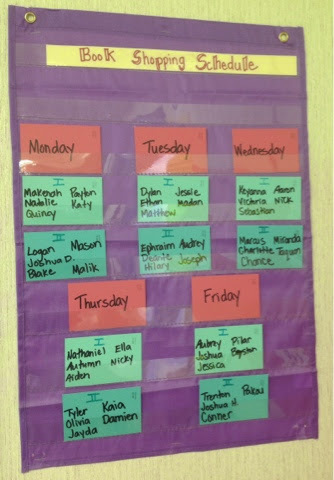 This is our Book Shopping schedule for the classroom library. 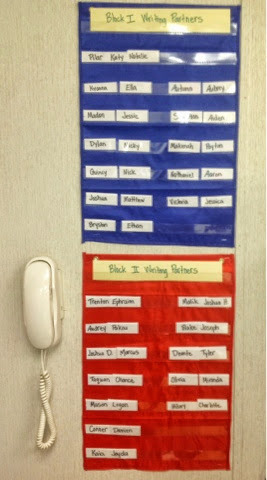 I like to use colorful paint sample cards to differentiate between my Block I and Block II students. 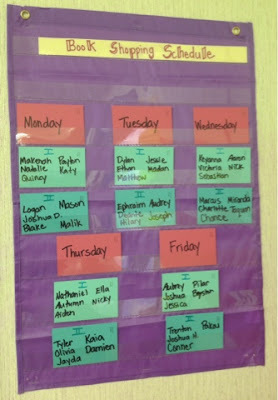 Students can reference this chart to know when it is their day to choose new books for their Reading Baggies. I will end this post with a tip--Dollar Tree and Target have terrific $1 pocket charts throughout the year! Just keep your eyes open! Honey, We Think Reading is Wonderful! Switcharoo With No Snafus...So Far!